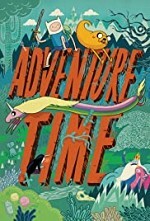 Watch Adventure Time: A 12-year-old boy and his best friend, wise 28-year-old dog with magical powers, go on a series of surreal adventures with each other. Episode 5 - The Enchiridion! Episode 15 - What Is Life? Episode 24 - What Have You Done? Episode 13 - Thanks for the Crabapples, Giuseppe! Episode 19 - Is That You? Episode 10 - Stakes Part 5: May I Come In? Episode 18 - President Porpoise Is Missing! Version 2,3 and 5 don't work. Nummber 4 can't play, everytime I click on play a page gets openend for something stupid or nasty adds.